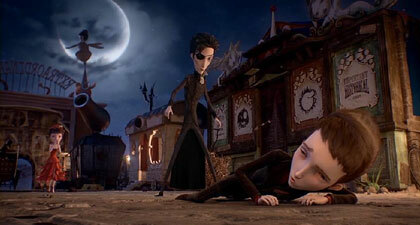 Based on the concept album by French band Dionysos (and on the novel by Mathias Malzieu), Jack and the Cuckoo-Clock Heart is one of the latest animations coming from France. Earning nominations at the Berlin International Film Festival and at European Film Awards, the film is co-directed by Malzieu and Stéphane Berla. 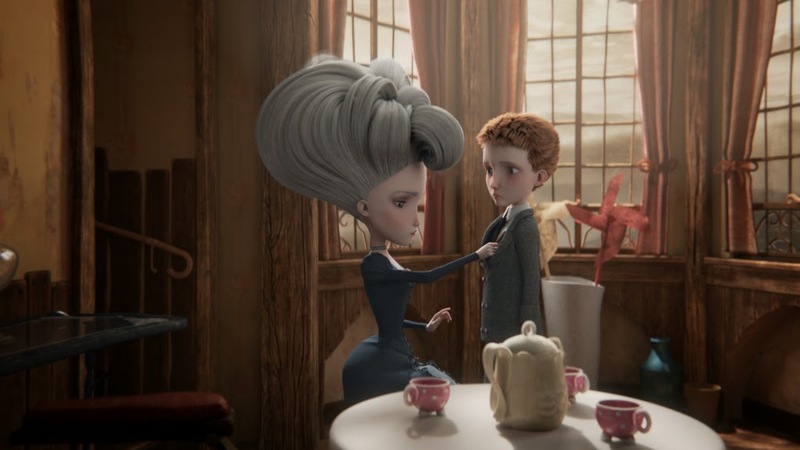 With overstylized characters and gothic atmosphere, the film draws on Tim Burton’s animated features, Victorian period and Mark Ryden’s paintings. The character animation and some of the landscapes are benefiting from Nicoletta Ceccoli’s original design – which has been less trite in her own books. While the story has interesting premises, the script lacks the density and the dainty development necessary to keep mature audience in their seats. Unfortunately, the plot fails to fully engage the viewer and seems more a mash up than a thoroughly organized story. For most of the film, the scenes are rushed just to make room to the songs which do not add anything new to the product, but replay in a musical style what have been previously said or shown. The musical compositions seem to continue the incongruity of the film, with the songs being over dramatized and the lyrics combined rather simplistic. A handful of elements and characters seemed to be borrowed from various other works: the house where Jack lives reminds of Aunt Josephine’s house from Lemony Snicket’s, the whole array of characters, elements and smiling moons of the carnival seemed to have stepped from Georges Melies’s films, while Joe’s character borrows sufficiently from Victor van Dort. Sadly, the piece does not lend itself to children, either, with bouts of violence and sexual references, it can seem inappropriate for younger kids. Much like the title character, Jack and the Cuckoo-Clock Heart ends up being a piece without a heart, wrapped up in a promising and catchy visual style, without humour, witty lines or passionate motivations. A steampunk work with melodramatic numbers and corny dialogues, the film must be handled with care since it cannot elevate itself over a certain plain level.